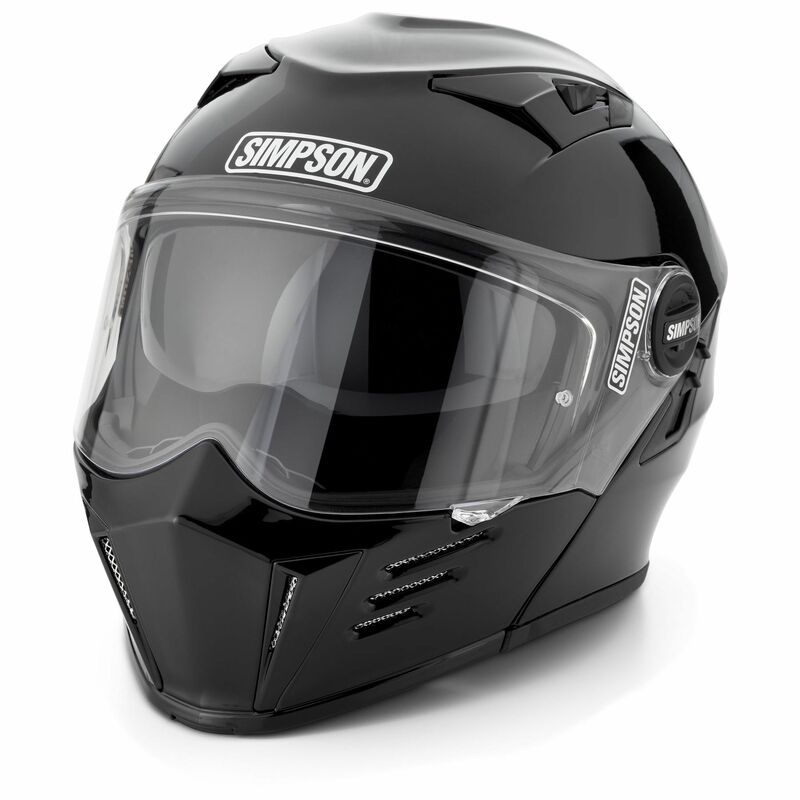 The Simpson Mod Bandit Helmet is the first modular helmet with a retro design – it’s based on the legendary full-face Simpson Ghost Bandit helmet but it features a flip-up front allowing wearers to leave the front up when riding at lower speeds in urban areas. 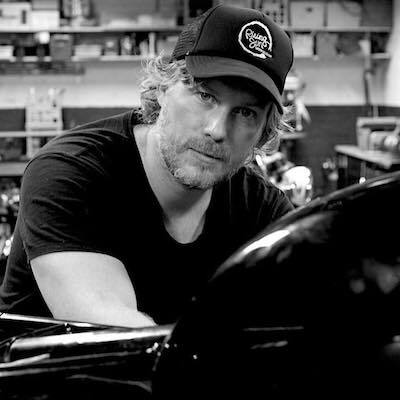 Modular helmets have become a popular choice with many urban riders as they offer full face protection when you need it, but they aren’t stifling when you’re stuck in slow moving or stationary traffic during the summer. 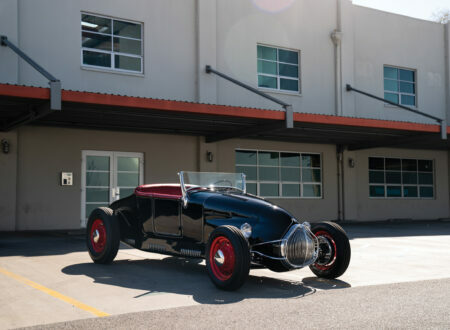 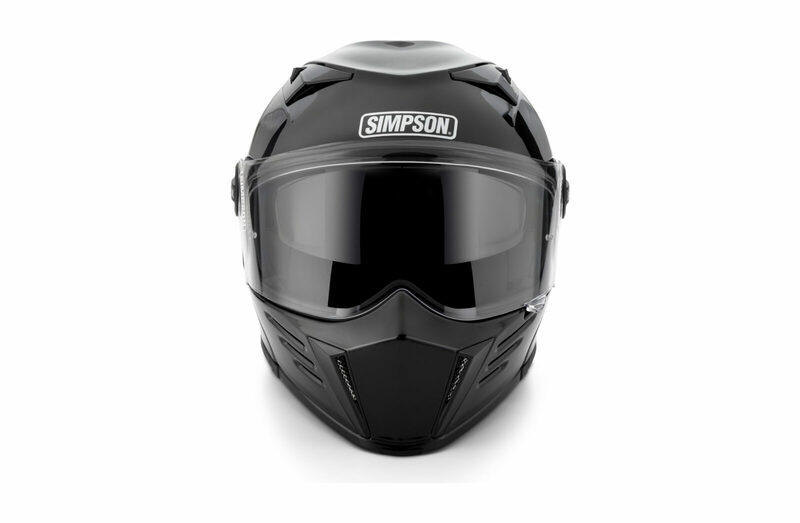 The Simpson Mod Bandit Helmet is almost indistinguishable from the Ghost Bandit, the two features that tell them apart are the additional two vents on the top, and of course the small gap on the chin bar where the helmet opens and closes. 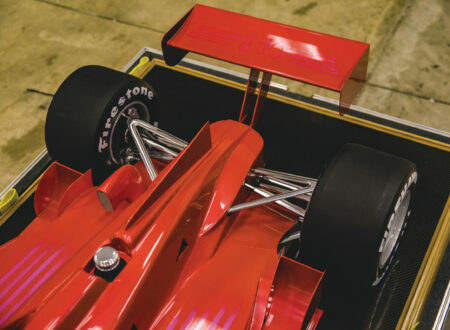 The team at Simpson developed the shell design in a wind tunnel to maximize efficiency at speed, it has a drop-down sun visor and a standard flip-up shield as well as the flip-up front, making it one of the most versatile helmets we’ve featured. 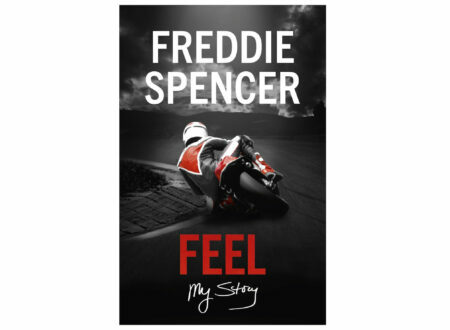 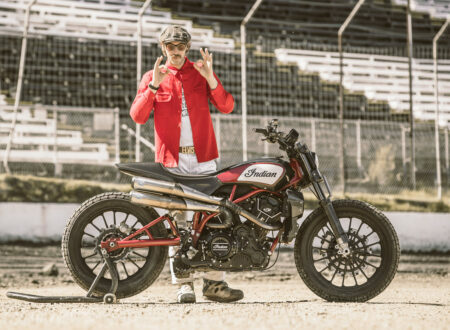 Inside you’ll find pockets for integrated speakers and microphones, an increasingly popular addition to motorcycle helmets as it makes listening to music or using your phone far easier – with none of the hassles of trying to keep ear buds in place as you put the helmet on. 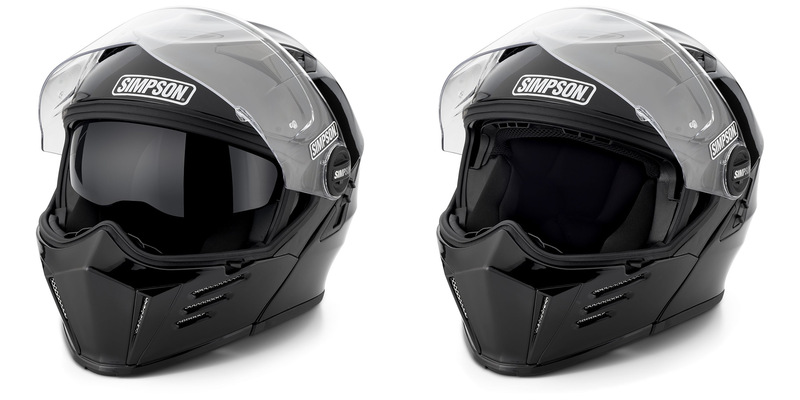 As with all of Simpson’s motorcycle helmets, the Mod Bandit has a lightweight composite shell, an impact absorbing EPS inner, and a removable/washable liner. The helmet also has tool-free shield removal, dual adjustable chin vents, top and rear ventilation, and a removable chin noise and air dam.